The Van Gogh Museum in Amsterdam asked Bodil Jane to co-organize an event with them: ‘Vincent on Friday & Bodil Jane’. The event was built around an annual drawing competition. The winner took home a print of this illustration that is inspired by Van Gogh’s obsession with Japan. Bodil Jane also curated the evening’s program with gigs of female musicians and a Japanese bookbinding workshop. 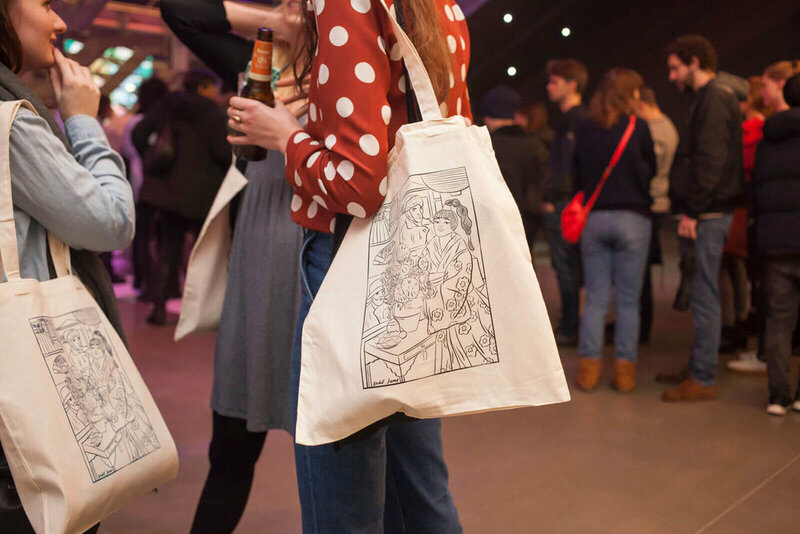 Twee Jongens printed hundreds of tote bags with the illustration to give away to the visitors. Hunter Bussemaker animated the illustration that was projected in the main hall.